In one of the most southwestern points of the United States, San Diego is home to a world famous zoo, theme parks, ocean beaches, and a welcoming climate that encourages visitors from all over the world. With an international airport, massive seaport, and miles of coastline, San Diego also borders Mexico, and the Mexican city of Tijuana, providing drug traffickers and drug trafficking organizations (DTOs) multiple opportunities to smuggle drugs into the country. Many of these drugs are likely moved through the city and into the rest of the country; however, they may be readily available on the streets of San Diego as well. Ease of access is one of the precursors to drug abuse and potentially addiction. Mental illness often goes hand in hand with drug abuse. Both substance abuse and mental illness are behavioral health concerns, and treatment for both issues is often housed under the category of behavioral health services. San Diego County encompasses a large area of Southern California, including not only the city of San Diego but also Carlsbad, Coronado, La Mesa, Lemon Grove, Del Mar, and Imperial Beach. San Diego and Imperial Counties are also part of the Southwest Border High Intensity Drug Trafficking Area (HIDTA), which spans the entire 2,000-mile land border region between Mexico and the United States, all the way from the Pacific Ocean to Brownsville, Texas, and including parts of New Mexico and Arizona as well. The California Border Alliance Group (CBAG) is part of the Southwest HIDTA, which includes San Diego County, and cites that the importation of cocaine, methamphetamine, and heroin across the Mexican border as well as methamphetamine production, cannabis cultivation and marijuana production, and high drug abuse rates are the primary threats in this region. Between 2009 and 2013 methamphetamine seizures at the southwest border had tripled. Mexican DTOs may be increasing their marijuana operations and smuggling efforts in this region as well. Heroin seizures at the border also doubled from 2009 to 2013 as Mexican DTOs may be sourcing more heroin also. Trends in drug abuse ebb and flow over time related to drug availability, legislation, law enforcement efforts, and price on the street. An estimated 3 percent of Californians aged 12 and older in 2013 were considered to have an abuse or dependency issue with illicit drugs. In 2012, approximately 1,124 individuals in San Diego County were hospitalized with a substance abuse disorder. One of the biggest drug threats in the San Diego area may be the stimulant drug methamphetamine, which is found in powder or crystal (known as ice) form and commonly smoked, snorted, or injected. Methamphetamine (meth) is manufactured in illicit laboratories with pseudoephedrine or ephedrine over-the-counter cold products. Legislation and law enforcement efforts were able to control the bulk purchasing of these products in the early 2000s, stemming the tide of meth production from super labs that were cranking out massive quantities of meth. Abuse may have waned for a bit in response; however, Mexican DTOs seem to have ramped up the production and trafficking of meth into San Diego. As a result, meth abuse rates may be increasing again. Male arrestees testing positive for meth in 2006 decreased after tighter regulations were put in place; however, by 2013, rates seemed to bounce back to what they were before the Combat Methamphetamine Epidemic Act (CMEA) of 2005 took effect. Drug seizures involving meth at San Diego airports, seaports, and at border of Mexico and the US quadrupled between 2009 and 2014, and rose 33 percent in the San Diego area in 2014. In 2012, there were 142 deaths related to meth as reported by the San Diego Medical Examiner. There were 2,412 individuals admitted to substance abuse treatment for abuse or dependency on meth in the first half of 2013, representing almost 30 percent of all treatment admissions – an increase from 25 percent a year prior. In the first six months of 2013, the rate of overdose deaths involving meth jumped to 4.8 fatalities per 100,000 people from 3.6 people per every 100,000, representing 76 meth-related deaths. Male arrestees testing positive for meth in the 2012 calendar year (CY) rose from 26 percent in the CY 2011 to 31 percent, and female arrestees testing positive for meth spiked from 39 percent in CY 2011 to 47 percent in CY 2012. Methamphetamine is the number one analyzed drug by National Forensic Laboratory Information Systems (NFLIS) labs in San Diego County, as 42 percent of drugs analyzed in the first six months of 2013 contained meth, up from 38 percent for the same time in 2012. Abuse and dependency to methamphetamine are rising in San Diego County and across the state of California, and so is the use of heroin. Heroin is an illegal opioid drug commonly smuggled across the border from Mexico. Prescription opioid drug prices are rising on the streets, as they are more tightly controlled and harder to divert, and heroin may be a likely substitute. Prescription drug abuse has been classified as a national epidemic, and in San Diego County there were 246 fatal prescription drug overdoses in 2014. That being said, the number of individuals admitted to substance abuse treatment programs in San Diego County for prescription opioid abuse is relatively low, making up only 4.5 percent of total admissions in the first half of 2013. There have been many efforts to stall prescription drug abuse, including drug take-back days. In September 2015, the DEA in cooperation with local law enforcement and community organizations, received 7.3 tons of prescription drugs that were turned in to 42 designated locations in San Diego and Imperial Counties. While this is great news, heroin trends may be increasing possibly as a direct result of some of these efforts. In a 2010 survey, 40 percent of IV (intravenous) drug users between ages 18 and 40 in San Diego County stated that they abused prescription opioids before turning to heroin. Heroin comes from the opioid poppy plant commonly cultivated in South America, and it is potentially trafficked up through Mexico and into San Diego. More than 70 percent of heroin abusers in San Diego County inject the drug, and in 2013, there were 86 heroin overdose deaths. Treatment admissions listing heroin as the primary drug of abuse rose from 22 percent to 24 percent of all treatment admissions from January-June of 2012 to the same time period in 2013. Overdose rates per every 100,000 people rose from 4.1 to 4.5 between the first half of 2012 and the first half of 2013. Adult male arrestees testing positive for heroin went up from 7 percent to 12 percent between the 2011 CY and the 2012 CY, while female arrestees positive for heroin increased from 9 to 10 percent during the same time. Heroin is the fourth most reported drug analyzed by local NFLIS labs. Rates rose from 9 percent of all drugs analyzed in the first six months of 2012 to 12 percent in the first six months of 2013. Cocaine abuse rates in San Diego County appear to be dropping, while marijuana abuse remains relatively stable. Cocaine is likely primarily imported up from South America through Mexico and into San Diego by plane, boat, car, or drug mule. Marijuana may be imported from Mexico through similar means or be locally grown and produced. Marijuana for medicinal use is legal in the state of California, and many illegal grow operations may leverage this status to produce the drug for recreational purposes. Marijuana substance abuse treatment admissions in San Diego County hover below 20 percent, about the same as the rate of alcohol abuse and dependency treatment admissions (based on 2013 numbers). Seizures of marijuana are declining, as only 13 percent of all drugs analyzed by local NFLIS labs in the first half of 2013 contained marijuana as compared to 19 percent in the first half of 2012. Cocaine does rank third in terms of drugs analyzed and reported by the NFLIS labs in San Diego County; however, treatment admissions for abuse of and dependency on cocaine remain low at around 4 percent of total treatment admissions in the first six months of 2013. As some illicit drugs become harder to get due to production issues, legislative efforts, or law enforcement presence, prices may increase, and those seeking an affordable “high” may have to look elsewhere. Synthetic drugs have been popping up all over the country in the form of bath salts, incense, and other seemingly innocent products. These drugs are commonly imported from China and sold over the Internet, often for very cheap. All may have mind-altering effects, and they are usually either synthetic cathinones, which are stimulants; synthetic cannabinoids that contain high levels of THC (the active ingredient in marijuana); or hallucinogenic in nature and act like PCP or LSD. In San Diego, in 2014, six new synthetic drug compounds were identified in autopsies of drug-related deaths. The Drug Enforcement Administration (DEA) is constantly updating the list of controlled and banned substances in an effort to stay ahead of synthetic drug manufacturers, but new compounds keep springing up in their place. Three of the drugs identified in San Diego deaths in 2014 had not ever been found to contribute to death in the United States before. One of the synthetic drugs identified was a synthetic opioid, acetylfentynal, which has caused death in other parts of the nation. This drug is similar to heroin and may be used as a substitute for heroin, with dangerous consequences. The biggest problem with synthetic drugs is that little is known about them. It is not always possible for users to determine what is in the drug they are taking and how it may interact with other substances or with their bodies in general. Even one dose of a synthetic drug can cause a fatal overdose. On top of new designer and synthetic drugs possibly becoming a bigger threat in San Diego, drug smugglers may also be getting more creative and technologically advanced. The Internet seems to be playing a role in the designer drug trade, and other technological advances may be being used by drug operations in this increasingly high-tech world. In April 2015, a drone was used to smuggle 28 pounds of heroin across the Mexico-United States border. This may represent a new trend in the drug smuggling business, as it may be getting increasingly harder for DTOs to tunnel into the US from Mexico as they had done in the past. Using drones and ultralight aircraft may be a new and improved way for drugs to make their way across the border. Alcohol is fairly cheap, easy to get, and legal for those aged 21 and older, making it a commonly abused substance. Alcohol in moderation may not be an issue, but chronic alcohol abuse and drinking to excess can have dangerous and even tragic consequences. In 2012, there were 465 drug-related overdose deaths in San Diego County, approximately 2,614 individuals hospitalized for a drug overdose, and another 5,277 discharged from emergency departments for a toxic drug overdose. In 2009 in San Diego County 4.2 percent of the adult population suffered from a serious mental illness. In 2012 in San Diego County 408 individuals committed suicide. These are all serious outcomes that may be prevented with mental health and/or substance abuse treatment. The San Diego County Health Behavioral Health Services Division contracts with local treatment providers to ensure that individuals needing help with substance abuse, mental illness, or both can receive comprehensive and integrated care. Public services are offered to those with no insurance, limited insurance, or Medi-Cal benefits, and some facilities may charge a scaled fee depending on the income of the individual seeking treatment. A list of providers, the services they provide, and their contact information is on the county website here. Other licensed providers in San Diego County that offer individual and small group mental health services may charge a fee and are called fee-for-services (FSS) programs. These are listed here. Individuals in San Diego may also search for local behavioral health services on the Network of Care website. Private treatment programs may offer additional services, and most accept insurance and other forms of payment. SAY San Diego, Social Advocates for Youth, is a nonprofit dedicated to improving the wellbeing of San Diego children and families by offering numerous mental health and substance abuse resources and programs. Live Well San Diego is endorsed by the County of San Diego government. It is a community initiative with multiple programs and services to help residents live healthy and happy lives. The Coalition for a Drug Free California provides prevention programs to help keep kids from turning to drugs. The San Diego County Health and Human Services Agency (HHSA) department keeps a list of local community coalitions working to prevent adolescent and child drug abuse. There is a large military presence in San Diego, and the VA San Diego Healthcare System (VASDHS) provides substance abuse and mental health services to military veterans. Treatment programs for substance abuse may include detox services, pharmacological management, therapies, counseling, education, and support groups. These services may be provided on an outpatient or residential basis. Addiction is personal, and no two people will experience the disease in exactly the same way. Treatment services that are unique and specific to each person’s circumstances are important for recovery. Drug and mental health assessments are often done prior to admission to a treatment program to determine the level of care that is best suited for that person. For many people, San Diego is a weather paradise. The temperature is almost always 70 degrees, and a light breeze comes up form the water to keep the air cool, calm, and moist. For people living in hot climates (like Florida) or cold climates (like Minnesota), San Diego can provide an ideal vacation experience. Practical Recovery: Power over addiction is a key part of the recovery process. This program uses a non-12-Step approach to help people understand that they have the power and strength to overcome the urge to use and abuse alcohol and drugs. Therapy focuses on helping people to understand why they should change their lives, and the therapy team helps people to deal with addiction’s underlying causes, which include relationship dysfunction, an unbalanced lifestyle, and a lack of meaningful work or volunteer opportunities. Care is personalized. There are several levels of care available, including detox, inpatient rehab, outpatient rehab, and sober living support. The facility does not accept direct insurance payments. Pacific Bay Recovery: This organization specializes in providing comprehensive, confidential care for addiction. 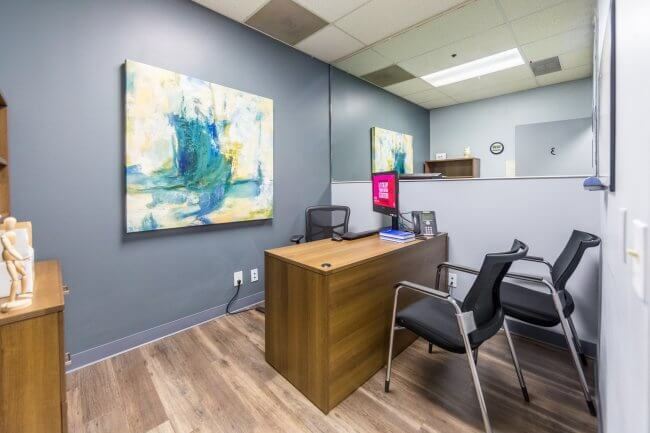 Treatment programs typically begin with medical detoxification, and they are followed by 90 days of inpatient care in a facility located in the heart of San Diego. That treatment is followed by 21 months of ongoing outpatient care, which allows people to deal with the recovery challenges they face when they move back home to their communities. 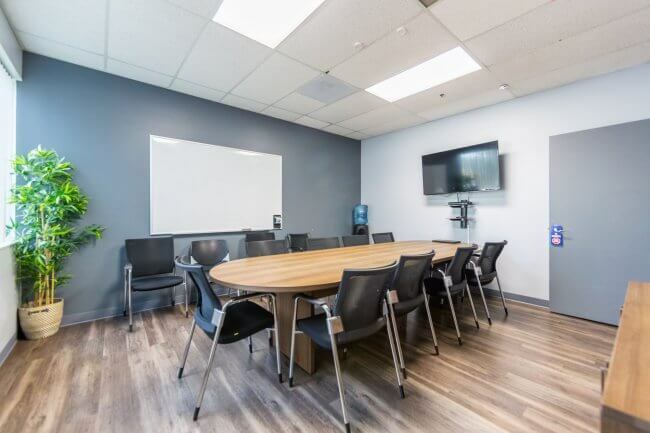 The care is appropriate for people who have addictions to both alcohol and drugs, and there are special recovery services available for people who have mental illnesses in addition to addiction. The founders boast of a 90 percent treatment success rate. Insurance plan payments are accepted. Genesis Recovery San Diego: A willingness to cede control to a higher power can be an important part of the recovery journey for some people with addictions. This facility emphasizes that step, as it provides a faith-based healing environment for addiction. People who enroll are taught more about how faith can interweave and intermingle with recovery, and they spend time in 12-Step recovery meetings that can help them to understand how others overcome their recovery challenges. The treatment facility is located on 160 acres, in a beautiful location just east of San Diego. Treatment is for men only. 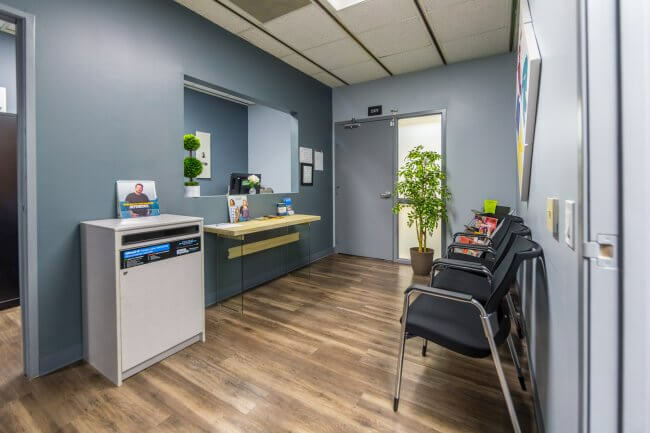 Lasting Recovery: Outpatient care for addiction is provided in this San Diego treatment facility. People with advanced cases of addiction may enroll in partial hospitalization programs or intensive outpatient programs, and there are standard outpatient programs for those who do not need an enhanced recovery experience. The therapy team provides Cognitive Behavioral Therapy and mental health education, and there are alternative therapies to boost healing, including yoga, poetry therapy, acupuncture, and occupational therapy. Medication management is available for those with addictions that respond to replacement therapy. The facility is in a discrete location, and it is easily accessible. Insurance plan payments are accepted. New Horizon Recovery: This addiction treatment center uses the power of social connections to boost healing. People who enroll are treated like members of the family, and they are provided with the opportunity to help design the treatment plan that will work best for them. That might involve inpatient care, outpatient care, or sober living homes. The care might last for just 30 days, or it might stretch on for months. The plan for care might change as recovery skills begin to grow. The team believes in providing personal support, and the team has years of experience in helping people with addictions. The team can also help people who have mental illnesses in addition to addiction. Lifestyle support, including vocational rehab and GED training, is provided. The facility also offers hiking opportunities, yoga classes, and beach access. Insurance plan payments are accepted. Stepping Stone of San Diego: People in the LGBT community often struggle to find treatment programs that address their unique recovery needs. This facility is designed to close that treatment gap. 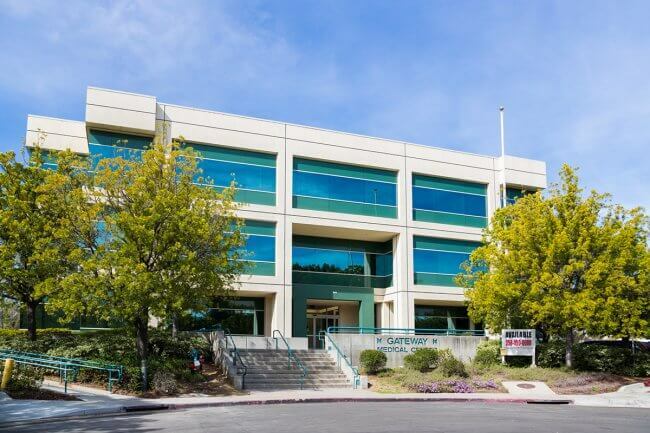 The team provides comprehensive care for this community, and it has done so for the last 40 years. People who are not in this community are welcome to enroll too. The team provides holistic addiction care, and there are services available for those who have mental illnesses in addition to addiction. People who enroll spend about six months in inpatient care, and they then spend about 12 weeks in aftercare programs. There are sober living options for people who do not have safe and sober spaces at home. Contributions help to keep the center open, and the doors are open to everyone who needs help, regardless of the ability to pay. Detox Rehab: Since this facility opened for business, it has provided care to more than 20,000 people who have struggled with addictions to alcohol, drugs, or both. 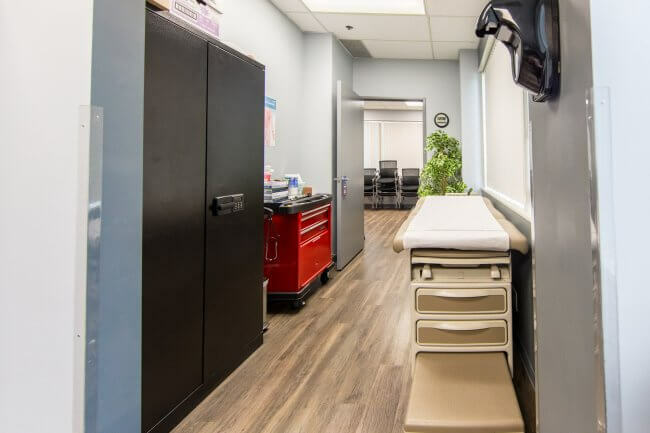 The team offers outpatient care for addictions to almost every substance imaginable, and there are specialized programs for people who have worked as first responders. The team also has a trauma-informed treatment program for people who came to addiction due to some form of scarring event. 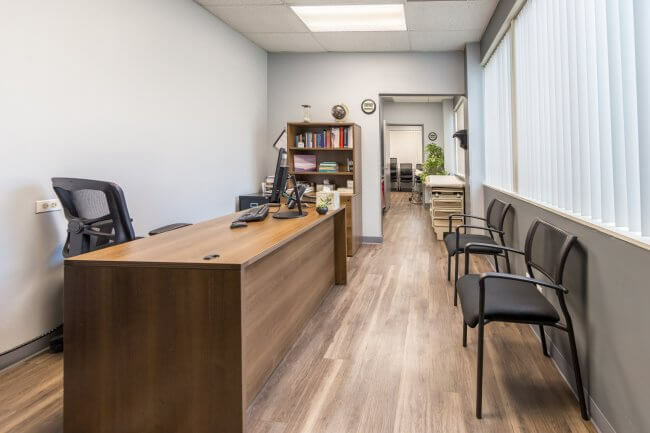 Advanced Drug Rehab Center: The treatment team of this integrated treatment center believes that addictions stem from changes deep within the cells of the brain. To them, the best way to address an addiction is to deal with the chemical and brain changes that underlie that addiction. The team provides that support with therapy, medication management, biofeedback, neurological therapies, nutrition, exercise, and more. The team focuses on issues that have to do with addiction, but there are programs available for people with eating disorders. Care is provided on a residential basis, and there are sober homes for those who need extended sober support. Insurance plan payments are accepted. APEX Rehab: Evidence-based treatment approaches, including Cognitive Behavioral Therapy, are provided at this addiction treatment center. The team offers alternative therapies that could also help, including medication classes, yoga classes, dietary support, fitness, and esthetician support. The program is appropriate for adults with addictions, and there are special program tracks for people in the LGBT community. There are residential plans available, and there are outpatient programs available too. The treatment center in San Diego is beautiful and comfortable, and it is designed to enhance the healing of those who enroll. Most insurance plan payments are accepted. Progressive Medical Specialists: Opiate addiction is the focus of this outpatient addiction treatment program. The team offers medication management for opiate addiction, and that medication is augmented with therapy provided by certified counselors and physicians. A medical team provides ongoing care and support during medication management, to ensure that the treatment is progressing as it should. There are short-term programs for those who wish to use medication and therapy in order to live a completely sober life, and there are maintenance programs for those who feel they cannot stay completely sober without the ongoing help of medications. Medi-Cal payments are accepted. Pricing is reasonable. 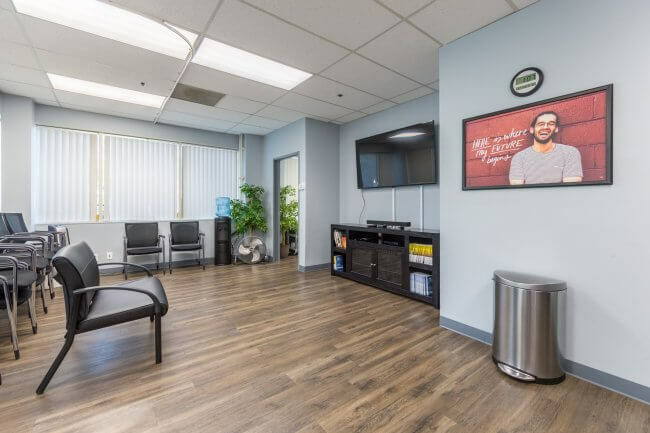 San Diego Treatment and Recovery Center: This large addiction treatment provider in San Diego specializes in helping people with addictions to alcohol and drugs of all sorts. 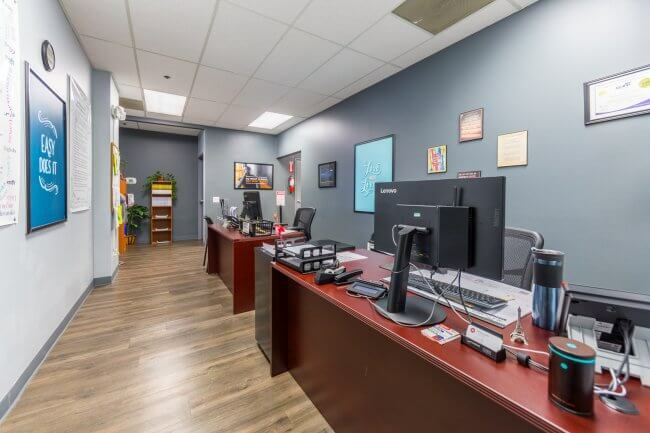 Care is provided on an outpatient basis, which allows people to continue to meet obligations involving family and work, all while they recover from an addiction. Scheduling is flexible, with both day and evening appointments available. The team has years of experience in helping people to recover from substance abuse issues of all sorts. There are programs just for men, programs just for women, and programs tailored for young adults. Those who do not prefer the 12-Step philosophy can enroll in a non-12-Step track. And those who cannot succeed in outpatient care can enroll in inpatient programs. Insurance payments are accepted. 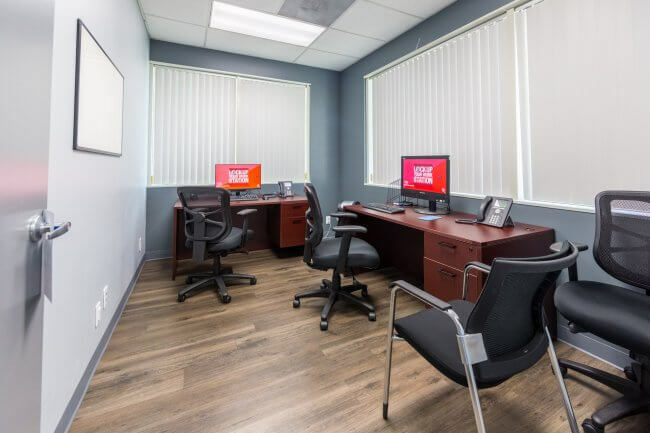 United Drug Rehab Group: This is one of the largest addiction treatment providers in the country, and it has an office located in San Diego. Here, people with addictions can work with a team of professionals with decades of experience in helping people to understand, grow, and recover. 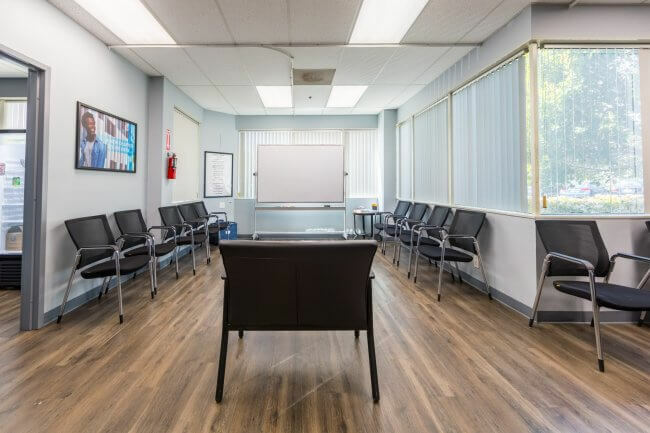 Medical detox services are available, and there are programs tailored for executives, families, and people with mental illnesses in addition to addiction. People who enroll are provided with a great deal of aftercare support, so they are not alone when treatment ends. Insurance plan payments are accepted. CRASH: For more than 40 years, this organization has provided addiction care to the community of San Diego. There are several different types of care available through this large addiction treatment community. There is a residential program, for those who need care around the clock in order to combat cravings. There are short-term programs for those who need intensive care for very brief periods. Outpatient programs are also available for those who can live at home while in recovery. This not-for-profit organization believes that anyone can recover from addiction with the proper care and support. The program administrators encourage people who enroll to continue to practice a safe and sober lifestyle even when formal treatment ends. Services are funded, in part, by San Diego County. House of Metamorphosis: Residential care in the heart of San Diego is available through this treatment facility. The directors hope to help people who have been targeted by an addiction to go through their own metamorphosis, so they can move from living on the fringes of society to contributing in a meaningful way to the community in which they live. Up to 64 people can enroll in the main facility, and there are four satellite offices that can take in up to six people each. Men and women are housed separately. The team offers individual counseling, group counseling, family counseling, GED classes, employment training, morale-boosting exercises, community re-entry training, and 12-Step support groups. The entire program takes nine months to complete. This organization gets funding from San Diego County. Confidential Recovery: Outpatient care that is designed to meet people where they are is the focus of this treatment facility. The team provides a number of different therapies to bring about change, including Cognitive Behavioral Therapy, and there are several options available for peer support, including traditional 12-Step groups and groups that follow the SMART Recovery plan. Therapy is often provided in groups, and those groups are limited in size to six people or fewer. Individual counseling is also provided on a regular basis. Treatment schedules are variable, which allows people to meet family and work obligations as they recover. People who enroll are asked to stay involved with the program for at least one year. Insurance plan payments are accepted. Mission Treatment: Narcotics addiction is the focus of this large addiction treatment provider. It has several locations all across the country, including one in San Diego. The team provides medication management for narcotics addiction on an outpatient basis. People can use this therapy for medical detox, and they can continue to use the medication to beat back cravings and stay sober in the future. Therapy sessions are available to help people learn how to develop a sober life after treatment ends. Prices are reasonable. Tradition One: This nonprofit organization was founded in 1971, and it aims to help people recover from addictions to drugs, alcohol, or both. The team uses a social recovery model, in which people with addictions learn from one another and from professionals. People who enroll live in a communal environment in which they share activities of daily living. In addition, they are provided with individual counseling, group counseling, case management, healthcare education, employment preparation, and mental health referrals. This organization expects everyone who enrolls to stay involved with the program for at least six months. Prices are reasonable, and there is a waiting list involved. The Center for Men’s Excellence: Private care for addiction can be the right choice for some people, and it is available for men at this counseling center. The founder of the organization uses a science-based cognitive therapy approach that helps men to set goals and manage life’s difficulties in an effective manner. The center offers individual therapy, and there are group counseling sessions available. The center has a special focus on men dealing with the difficulties of parenting, and there are many counseling tracks for dads with children of all ages. There are also couples counseling services available for men and women torn apart by addictions or mental illness. It should be noted that this provider does not explicitly focus on addiction care. The organization helps with mental illnesses of all types, but for men who feel that issues of gender contribute to addiction, it could be a good choice. Insurance plan payments are accepted. These are just a few of the addiction treatment options available to you within the San Diego city limits. There are many more, including addiction providers that operate out of hospitals and small mental health clinics. If you are living with an addiction, treatment options are readily available. (n.d.). “Southwest Border HIDTA.” High Intensity Drug Trafficking Areas (HIDTA) Office of National Drug Control Policy. Accessed September 30, 2015. (n.d.). “Southwest Border HIDTA California Partnership.” High Intensity Drug Trafficking Areas (HIDTA) Office of National Drug Control Policy. Accessed September 30, 2015. (Nov. 2014). “2014 National Drug Threat Assessment Summary.” Drug Enforcement Administration (DEA). Accessed September 30, 2015. (2015). “Behavioral Health Barometer, California 2014.” Substance Abuse and Mental Health Services Administration (SAMHSA). Accessed September 30, 2015. (July 2014). “San Diego County Community Profiles. Behavioral Health Profile by Region and Subregional Area (SRA).” County of San Diego, Community Health Statistics. Accessed September 30, 2015. Hoffman, M. (Jan. 2015). “Meth is Flooding California- and You Can Blame Mexican Cartels.” Vice News. Accessed September 30, 2015. (Feb. 2014). “Drug Abuse Patterns and Trends in San Diego County- Update: January 2014.” National Institute on Drug Abuse (NIDA). Accessed September 30, 2015. Kucher, K. (Sep. 2015). “Local Drug Drop Off Events Bring in 7.3 Tons.” San Diego Union Tribune. Accessed September 30, 2015. (Sept. 2015). “DEA Prescription Drug Take-Back Numbers.” United States Drug Enforcement Administration (DEA). Accessed September 30, 2015. (Nov. 2014). “The Status of Prescription Drug Abuse in San Diego County: November 2014.” Rx Drug Abuse Task Force San Diego County. Accessed September 30, 2015. (Feb. 2015). “New Deadly Drugs Hits San Diego Streets.” CBS 8. Accessed September 30, 2015. Davis, K. (Aug. 2015). “Drone Smuggles Heroin from Mexico Into California.” San Diego Union Tribune. Accessed September 30, 2015. (June 2013). “Stronger Zoning Ordinances Needed to Reduce Alcohol-Related Harm.” Alcohol Policy Panel of San Diego County. Accessed September 30, 2015. (2015). “Behavioral Health Services.” San Diego County Health and Human Services Agency (HHSA). Accessed September 30, 2015. (2015). “Provider Resource Listing.” San Diego County Health and Human Services Agency (HHSA). Accessed September 30, 2015. (2015). “Fee for Service Provider Listing- English.” San Diego County Health and Human Services Agency (HHSA). Accessed September 30, 2015. (2015). “Network of Care.” San Diego County Health and Human Services Agency (HHSA). Accessed September 30, 2015. (2015). “SAY San Diego.” SAY San Diego Social Advocates for Youth. Accessed September 30, 2015. (n.d.). “Live Well San Diego.” Live Well San Diego. Accessed September 30, 2015. (2013). “Drug Free California.” Coalition for a Drug Free California. Accessed September 30, 2015. (n.d.). “Alcohol and Drug (AOD) Services.” San Diego County Health and Human Services Agency (HSSA). Accessed September 30, 2015. (2015). “VA San Diego Healthcare System (VASDHS).” U.S. Department of Veterans Affairs. Accessed September 30, 2015.